Children with Challenges is a Yahoo group of parents, therapists and persons challenge with disabilities such as dyslexia, hyperlexia, aspergers, autism and many others. See http://groups.yahoo.com/group/childrenwithchallenges. The group was initiated by a mother in a support group who was learning the Masgutova Method. Recently this mother took the initiative to begin a list of Frequently Asked Questions (FAQ) relating to the solutions that Svetlana Masgutova has unearthed for different disabilities. 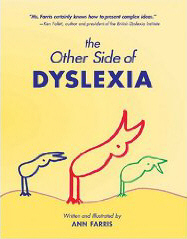 I provided some ideas for the FAQ on dyslexia and hyperlexia and then Svetlana added details. The results are below. I highly recommend that you visit the Yahoo site http://groups.yahoo.com/group/childrenwithchallenges for responses on other topics. 1. How does that Masgutova Method help children and adults with dyslexia (challenges with sounding out words, reading and vocabulary) and hyperlexia (challenges with comprehending – both reading and aural)? The Masgutova Method (MM) addresses core issues behind both challenges. If a child or an adult’s reflexes normally developed in utero and during the first three years of life are delayed the technical skills required to read and comprehend can be impacted. Non-developed or retained reflex patterns cannot serve as a neurophysiological basis for learning skills development, and more over, non-integrated reflex patterns inhibit the learning process. The negative effects of automatism, incorrect reflex pattern functioning (its dysfunctional sensory system, brain processing, and motor response), and lack of development of inner control will not allow a child/adult to deal easily with hands on tasks: to focus, to analyze, to decode information, and to process it appropriately. Integration of these non-developed reflex patterns gives the possibility for the development of inner control and skills. 2. Can reflex corrections be made to improve a dyslexic and hyperlexic’s ability to read and comprehend? Yes, there have been many hundreds of examples where a marked increased in reading and comprehension has been reached. 3. Do the emotions play a part in dyslexia and hyperlexia? Yes. We have seen cases where linking an emotional issue with an under-developed reflex and making the appropriate corrections have resulted in a marked increase in reading skills and comprehension. If you have topics that you would like me to address about my experience in overcoming dyslexia and hyperlexia feel free to send your ideas through the comments below. Children with Challenges is a Yahoo group of parents, therapists and persons challenge with disabilities such as dyslexia, hyperlexia, aspergers, autism and many others. http://groups.yahoo.com/group/childrenwithchallenges. The group was initiated by a mother in a support group who was learning the Masgutova Method. I joined Children with Challenges four years ago and monitor the input on a regular basis. Parents and therapists offer feedback on techniques that are working with both children and adults challenged with a disability. I always am looking for new approaches that might assist me in improving my comprehension – both through the written and spoken word. Not long ago this information was posted. Please note: I have had no personal experience with these two products but as others seem to have had good results in improving comprehension I am passing this information on. 1. Fast ForWord, a program designed by Scientific Learning. Here’s the link: http://www.scilearn.com/products/fast-forword-language-series/language. 2. Earobics. It is a cd with games. One person reports that Super Duper has the best price for this CD. She also commented Super Duper has free games online called Game Goo. And, if you want to more information about Children with Challenges here is the link to their Yahoo Group. If you have topics that you would like me to address about my experience in overcoming dyslexia and hyperlexia send your comments through this blog below.